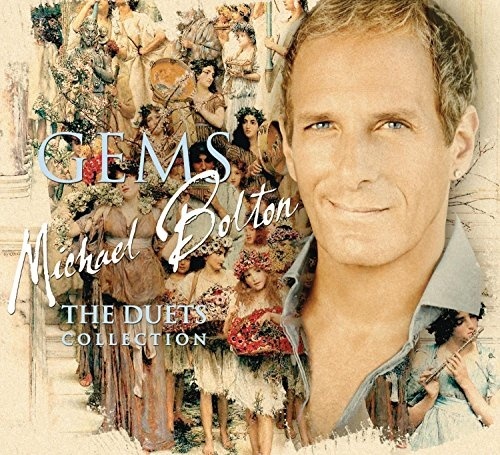 Gems: The Duets Collection may bear a title that suggests it’s a compilation, but this 2011 effort is a brand-new album containing nothing but new collaborations between Michael Bolton and similarly minded travelers of the middle of the road. It is new but it feels old, faithful to the early-‘90s adult contemporary hits that made Bolton a superstar, and its biggest missteps arrive whenever Gems strays too far from that slick template, particularly when Bolton and Anne Akiko Meyers stumble through a strident reading of U2’s “Pride (In the Name of Love).” Moments like this don’t arrive all that often, fortunately. Most of the time, Bolton stays in his comfort zone, turning in a surprisingly understated version of “You Are So Beautiful” with trumpeter Chris Botti, going toe-to-toe with Rascal Flatts on “Love Is Everything,” sounding as big as the children choir on “Hallelujah.” There are no surprises here, but there don’t need to be: this is Bolton doing what he does best, and doing it so well that anybody who picks this up thinking it’s a compilation won’t be disappointed with what resides inside.